The ability to say no is a life skill that every human being needs, but it’s even more important when you are trying to heal from chronic illness. The truth is: self-care takes time – everything from preparing homemade meals, to taking time out to manage our stress, and also prioritizing sleep at night. If we say yes to these things, we will need to say no to other things. The opposite is also true: if we don’t set boundaries, we won’t have the time we need to take care of ourselves. But our conversation isn’t just about time. Boundaries are also about respect and relationships. How do we want to be treated? What types of people do we want to surround ourselves with? And how do we have difficult conversations with those we love? In today's podcast, we answer these questions and more. 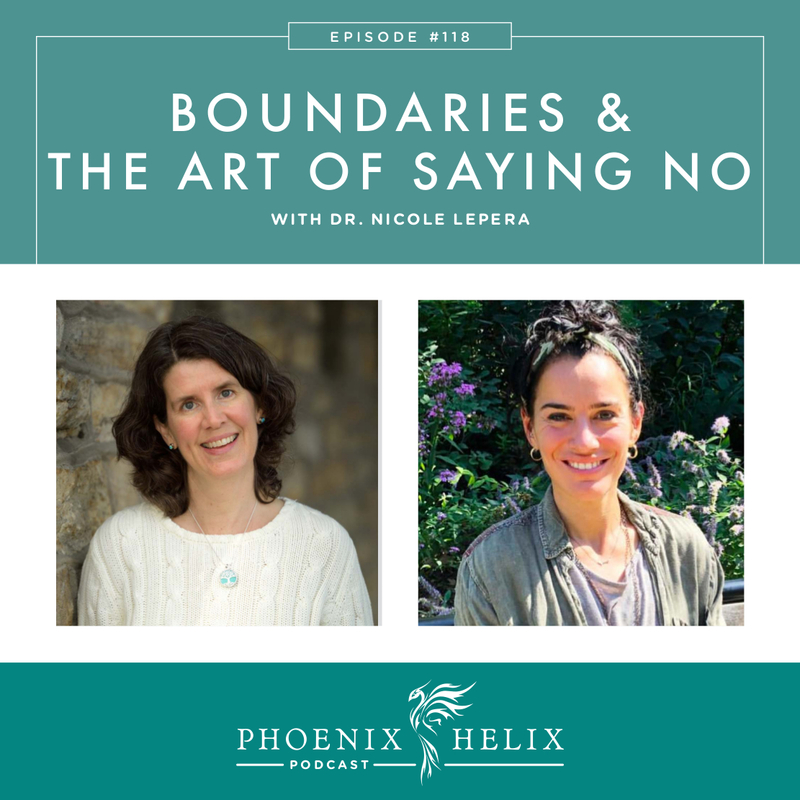 My guest is holistic psychologist, Dr. Nicole LePera. Together, we share our best tips for building our boundary muscles. 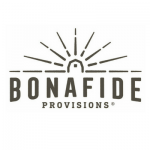 Bonafide Provisions makes true, traditional bone broth – that means it gels, is certified organic, uses only grass-fed & pasture-raised bones, and it’s frozen (no preservatives or high-heat processing.) They also triple filter the water used in the broth, cook in stainless steel pots, and cool it completely before adding it to their BPA-free packaging. How do you incorporate it into your diet? The most commons ways are to sip it straight, or use it as a base for soup. 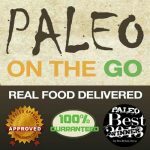 But you can also substitute bone broth in place of water in just about any recipe, from vegetable sautés to smoothies. And if you've reintroduced white rice back into your diet, cooking it in bone broth adds some wonderful nutrient-density. Dr. Nicole LePera is a holistic psychologist, originally trained through Cornell University. Finding solutions to her own physical and mental health issues led her to change the way she practices therapy. She suffered from anxiety, brain fog, emotional reactivity, low energy, and physical symptoms as well. She knew how to manage them mentally, but it wasn't until she made diet and lifestyle changes that it all came together, and she learned how good she could feel. 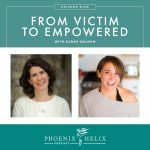 She founded the Mindful Healing Center in Philadelphia to empower people to make the changes they need to achieve optimal health. 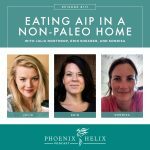 She incorporates gut health, sleep, movement, cellular health, belief, and mindfulness into mental health treatment. She grew up in a co-dependent family that didn't have boundaries between family members. So, as an adult, she formed relationships without boundaries as well. It took her a long time to learn what boundaries were, acknowledge they were important, and start implementing and maintaining them for her own health and the health of her relationships. Boundaries are rules we put in relationships that teach people where our limits are, and that there are consequences if those limits are crossed. There are 2 steps to setting boundaries: implementing them the first time, and then maintaining them long-term. It's natural for people to test boundaries, especially in long-term relationships where boundaries didn't exist before. You are changing the steps in the middle of a dance. That doesn't mean the effort isn't worthwhile – but expect to encounter some level of resistance. If we don't set boundaries, we suffer and the fallout can take many forms, both emotionally and physically. While some things in life are beyond our control, in any relationship we are playing a role. The only person whose behavior we can change is our own. Setting and maintaining boundaries is a form of self-empowerment. Feeling overly responsible for the emotions of others, and not wanting to disappoint other people. Believing that prioritizing yourself is selfish. Wanting to feel needed by others, and defining self-worth by that need. Believing that if you set boundaries, you will lose the relationship. Fear of loss or abandonment. People-pleasing tendencies. Wanting to be liked and approved of by others, and defining self-worth by that approval. Control. Believing that if you don't do it, no one will, or they won't do it correctly. There are many other possibilities as well, but these are some of the most common ones. Change is new and unfamiliar, and it's natural to feel awkward, uncomfortable, or even a little afraid. It doesn't mean change is wrong, or you are doing it wrong – it's just new. There are two steps to change: Awareness and Action. Awareness is the ability to observe our patterns – how we behave and interact with others, and our thoughts and feelings surrounding our behavior. This takes it from unconscious to consciousness, and gives us the opportunity to behave differently. Resource article: 3 Reasons Why You Can't Change. Start with the easier no's, where the risk is lowest. For example, practice saying no to acquaintances and get used to that, which helps you develop confidence for the harder no's. Realize that often the consequences of saying no are much worse in our imagination than in reality. Frequently, people accept the no graciously. In Eileen's experience, some people respected her more, and others felt safer in her presence, because the healthy boundaries went both ways. That's not always the case. Sometimes people will push back and test your boundaries, but with practice you learn that you can handle that as well. Delay giving your answer. Tell people you'll get back to them in a few hours, or a few days. That gives you time to consider if this is something you want to do, and prepare yourself to say no if it's not. It removes the stress of the moment, takes you out of autopilot, and also lets the other person know already that a yes isn't assumed. One of the reasons this is so helpful is that when we feel strong emotions, it inhibits our ability to make decisions. Our limbic system overrides our frontal lobe, and we're more likely to default to old patterns. By delaying your answer, you've broken this cycle and given yourself time to process your emotions and make a considered choice. Say “I don't know.” If your energy levels fluctuate, and you often find yourself breaking plans at the last minute or resenting plans you feel forced to keep, see if it's an option to keep the commitment tentative and speak on the actual day to confirm whether or not you can make it. Nicole has started doing this with friends regarding social plans, and it's been wonderful – they all appreciate the flexibility. Process your decision with someone you trust – i.e. a friend who is good with boundaries, or your therapist. After a lifetime of saying yes, it can be hard to know when to say no. You don't want to give the decision-making power over to another person. But having a sounding board and hearing another perspective can be helpful. One caution: people without boundaries often defer to other people's opinions automatically. The goal is to listen to their advice, take some time to think about it, know that you can agree or disagree, and in the end make the choice that's best for you. Clarify your priorities. Come up with your Absolute Yes List – the things that matter most to you. Then, when someone requests your time, look at that list and see if the request matches your priorities. Every time we say yes to one thing, we're saying no to something else. Be clear about how you want to spend your time. Beware of “should”. If you get a request and think “I should do it” that often means you don't want to do it. If you've always put others' needs above your own, it might take you time to figure out what you personally want. Negotiate. If you can't meet the full request but would like to do something for this person, you can offer something smaller that you can do. Don't feel obligated to do this. It's fine to say no completely. But sometimes we want to give a smaller yes, and that is always an option. Don't feel that you have to justify your “no”. Nicole now replaces the word “but” with “and” when saying no to requests on her time. Instead of saying, “I appreciate your interest, but I can't do this at this time.” She says, “I appreciate your interest, and I can't do this at this time.” Those two statements feel very different. Words matter, and they can feel empowering and disempowering, depending on the ones we choose. “No, but thanks for asking.” This is a great phrase that is firm, clear, yet polite. It doesn't get into debate, excuses or exclamations. “No” is a complete sentence. This is just a slightly softer way of saying that. Calling my fellow bargain-hunters! Here are 2 ways to save money at POTG: (1) The Reward Point Program: Login to your account and click on the yellow oval in the bottom left of your screen. That will open up your rewards panel – you can see how many points you have, how to earn more, and how to redeem. They automatically accumulate every time you place an order, and you can redeem them for gift cards which you can use for future orders. You can also get points for doing other things, like reviewing products, following POTG on Instagram or Facebook, or joining their birthday club. (2) Subscribe & Save: Every item on their menu also has a subscribe & save option. When you subscribe, you pick the frequency – anywhere from 1-4 weeks. You save 10% on the first subscription order, and 5% on every one after that. You can subscribe and save to bundles like the Phoenix Helix Variety Pack. Or subscribe to all of your favorite menu items, creating your own subscription bundle. People who have difficulty asking for help are often people who do too much. Changing your patterns and learning to set boundaries might also mean asking for help and sharing responsibilities. When looking at your personal to do list, the first question to ask is: Does it really need to be done? (Sometimes the answer is no.) If yes, the second question is: Does it need to be done by me? Difficulty asking for help isn't usually about the help itself, but the negative meaning we attach to it. Become aware of the stories you tell yourself about giving and receiving help. Relationships without boundaries often include these behaviors: difficulty saying no; an inability to spend time alone; being overly affected by the other person's thoughts, feelings and beliefs, at the expense of your own. Relationships with healthy boundaries: each person is aware and responsible for their own thoughts, emotions, and behaviors; there is room to have differing opinions, beliefs, and emotional states; you don't look to the other person to meet your needs; you co-share a world where you lovingly hold space for each other. Step 1: Get clear yourself on the patterns you have around boundaries and what you'd like to change. Step 2: Have a conversation with the other person, letting them know what you've discovered and how your behavior might change. Sometimes these conversations are difficult, and change isn't always embraced by the other person. But it's far better to have the conversation, than simply change your behavior without explanation. Otherwise, people will guess (usually wrongly) the meaning behind your new behavior. Couples and family counseling can be helpful when trying to change long-held patterns in relationships. When you have a history of chronic illness, you can get into the habit of saying no, because your body wasn't capable of doing many things. When you start to feel better and are capable of doing more, there can be fear about saying yes again. Like any change, the first step is getting clarity – what are you afraid of? The second step is accepting fear as a natural part of the process. Don't be disappointed in yourself for feeling it. The brain craves familiarity and resists change. You don't need to let your thoughts or feelings stop you, or define you. The third step is practice. Begin with small yeses. You will gain confidence with each positive experience, and gain experience moving through fear when it arises. The ultimate goal with healthy boundaries is to be able to say yes when we want to say yes, and no when we want to say no. Dr. Nicole LePera is accepting new clients and works with people around the world via Skype. You can connect with her through her website or Instagram. Nicole also has a YouTube Channel.